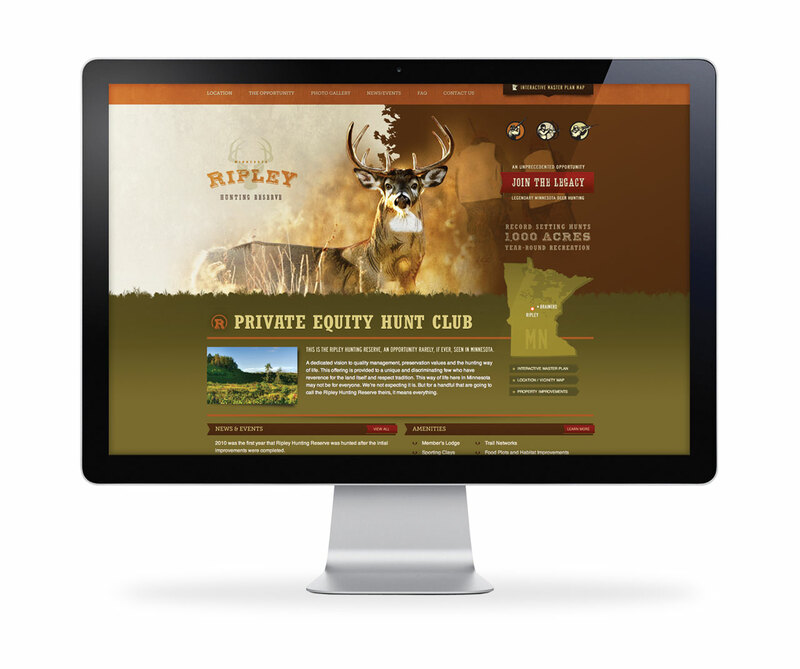 Ripley Hunting Reserve offers the rare and exclusive opportunity to be part of a private equity hunt club. 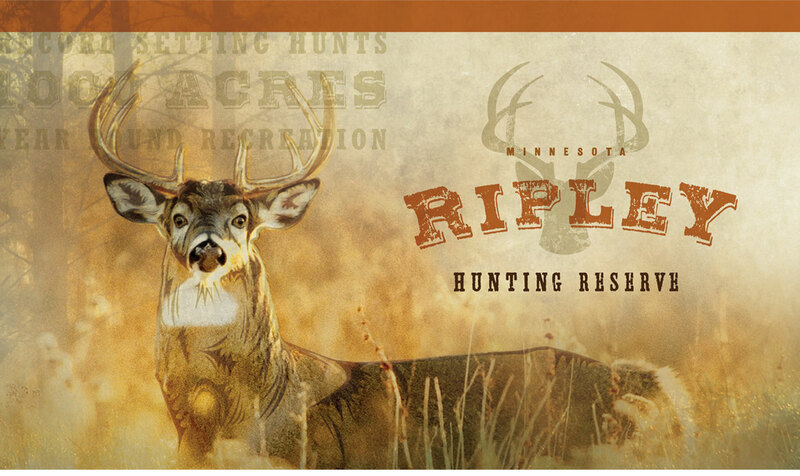 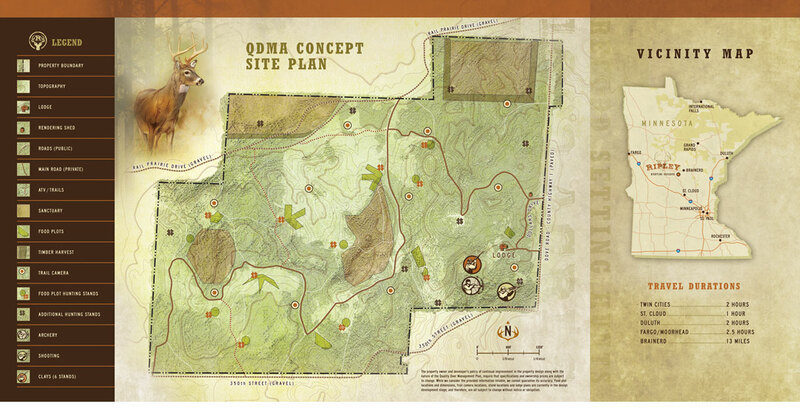 Located in Minnesota, the Reserve caters to its members with convenient improvements and careful land management. 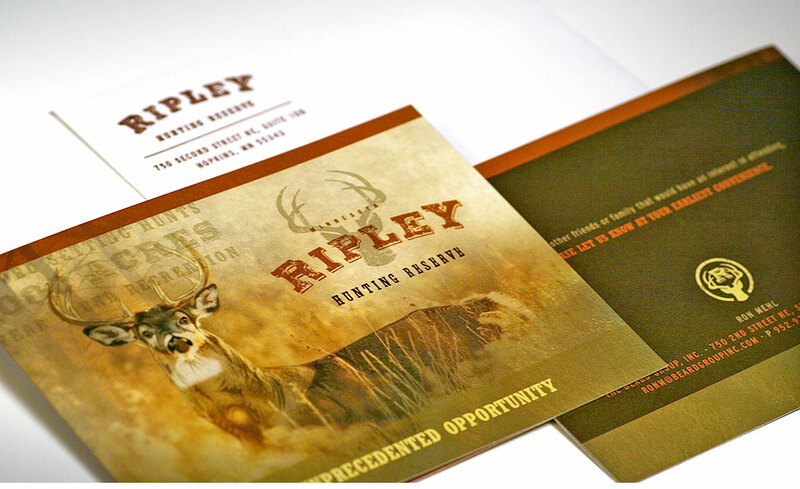 Reverence for the land and respect for tradition are key elements carried through the identity with warm and natural color choices, captivating photography and custom illustrations. 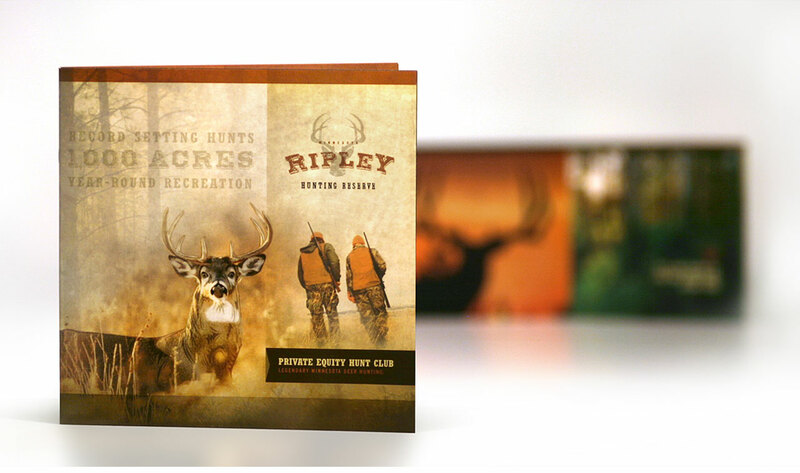 The brand complements and enhances the pride and sense of belonging of the club members.